Poster art is a unique way for individual kids to share their personal message to the community to protect our marine environment. Could you imagine The Bahamas without conch? Or without coral reefs? Overrun with invasive species? No way! Sadly, in some countries, they have lost their marine diversity and healthy habitats. Let’s not let beautiful marine habitats in The Bahamas disappear. Dive into learning about this year’s topic and find ways to protect our wildlife for future generations. 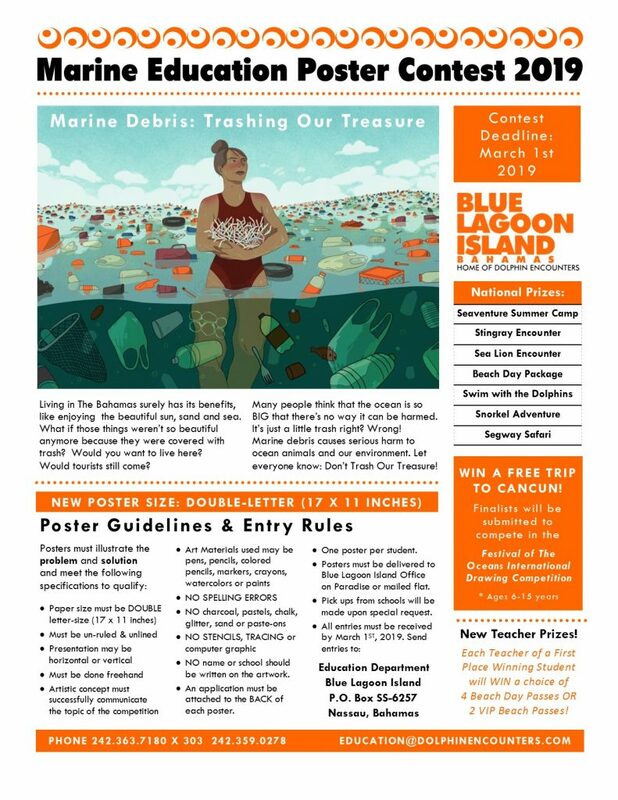 Learn more about the featured topic and the challenges faced from the MEPC Info Sheet and express your feelings through art in the annual Marine Education Poster Contest. 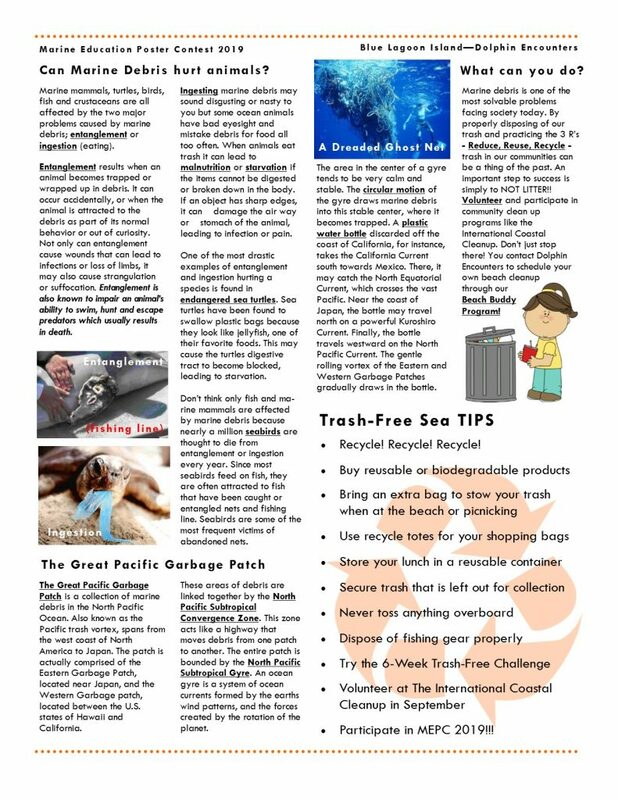 On request, our marine educators will present a FREE Marine Assembly Program at your school to introduce you to this year’s topic and get your students to rally for marine conservation through poster art. Step up to the plate and fight for the marine life of The Bahamas! Special program rates for public schools or scholarships are only available to qualifying organizations. Programs, dates, fees and discounts are subject to change and/or cancellation. To make a booking, please complete the booking request or email education@dolphinencounters.com or call 242-359-0278.